Each quarter, MIT hosts the “Partners Program Alumni Event,” featuring high-profile alumni guest speakers who share recent scientific studies with a curated audience of important financial supporters. With the significance of each guest speaker's research, these events are some of the most important that take place each year. 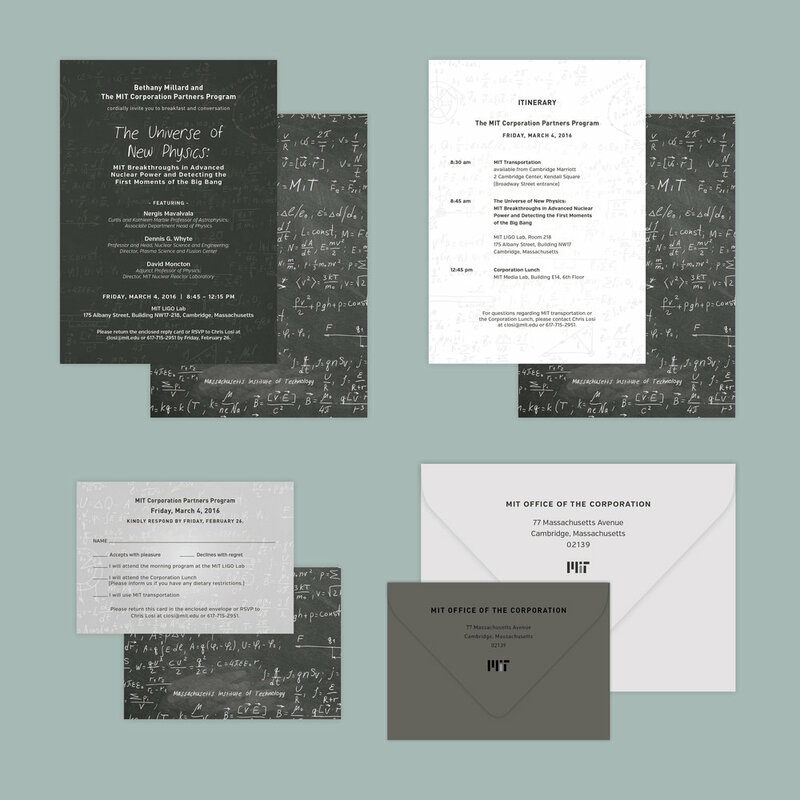 For the 5 years of our design collaboration, the goal has been to portray scientific research in a way that appeals to a wide range of important invite recipients and attendees. The work needs to be attractive and modern, while staying true to the scientific topic. To do this, all event branding and design, including typography and illustration is created with the specialty of the alumni guest speaker and their area of study in mind. The final product is always modern and engaging, utilizing unexpected color palettes, multiple type styles and clean designs. Client: Massachusetts Institute of Technology | Assets: Event Branding and Design, Typography + Illustration.